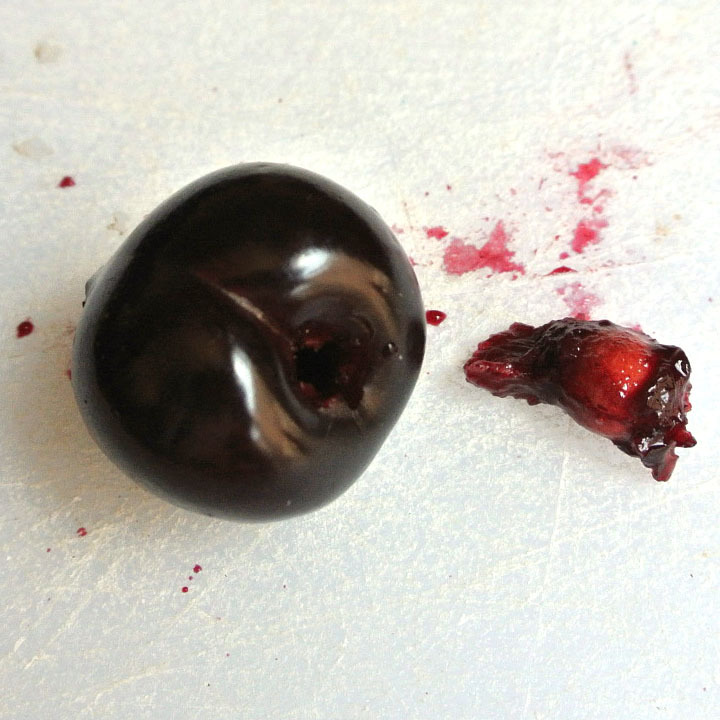 It is Cherry season! I was super happy to be selected by OXO to receive their new Cherry Pitter! It makes eating and enjoying this Summertime stone fruit so much easier! It works a breeze on Olives also! The Pitter features a removable splatter shield that directs juices downward and prevents them from soiling your work area. When not in use, the splatter shield fits inside the front chamber and a lock holds the Pitter closed for convenient storage. Sturdy, die-cast zinc construction removes pits with ease, and soft, comfortable non-slip handles absorb pressure while you squeeze. It was so easy to use. I made some yummy glass stirrers out of Cherries and Celery. It was easy. 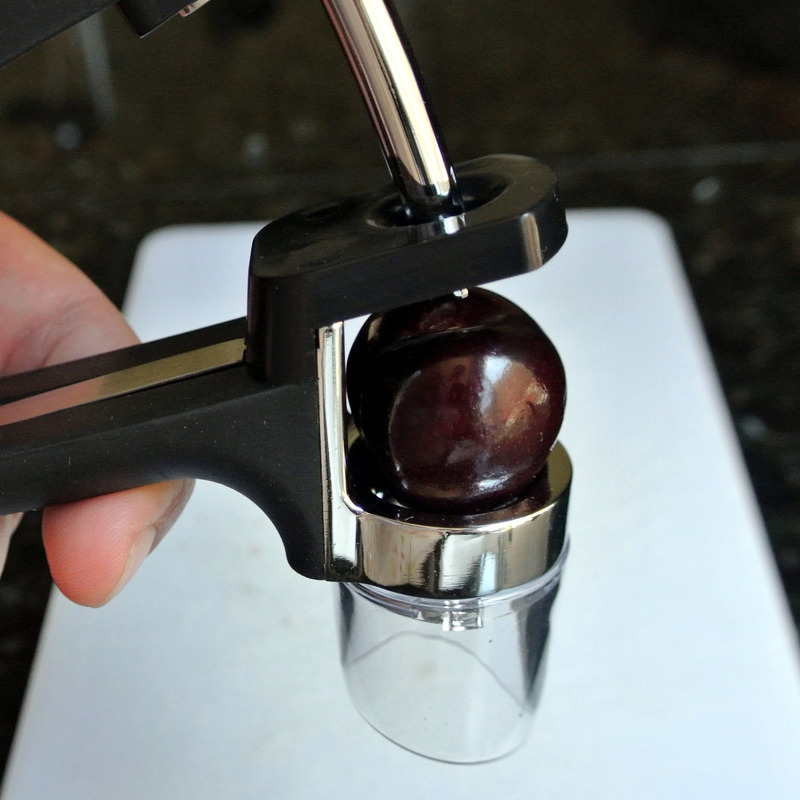 Simply place your cherry in the pitter. Squeeze and the pit falls right out. 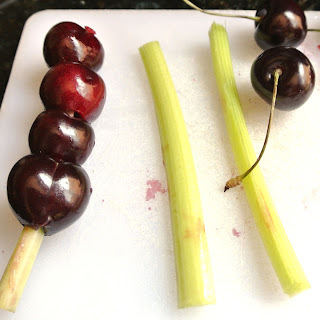 I cut some thin strips of celery and slid the cherries right on. With the ease of this tool, I decided to make a summer spritzer to enjoy by the pool. Pit your cherries. Place cherries in a food processor. Add lime juice and Stevia and stir until all stevia is dissolved. Strain purée through a fine-mesh sieve into a pitcher. 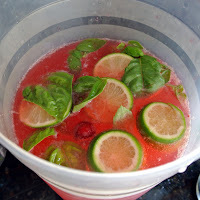 Add basil leaves, a few pitted cherries and 1 sliced lime. Divide drink among ice-filled glasses; top with soda. 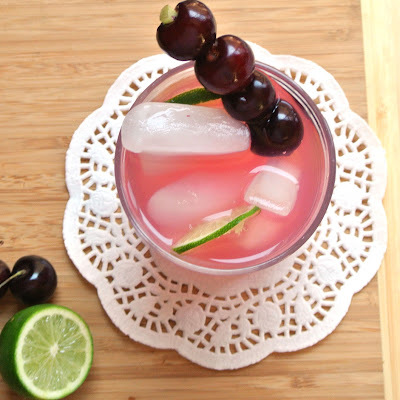 Garnish each with a basil sprig, lime and cherries. For an adult refresher, simply add a shot of your favorite spirit. Gin or Vodka work really well. Enjoy! That looks SO refreshing. 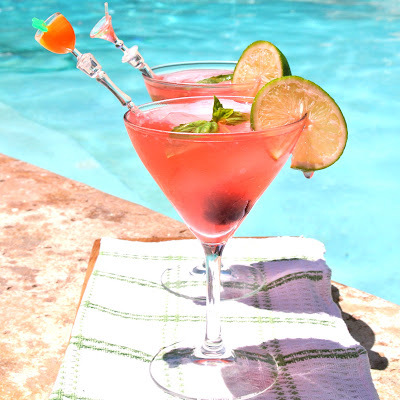 Great one for summers! !